Truffles sweetened with honey. These are the best chocolates we have ever tried, with insides so soft you'll melt. We dare you not to eat them all in one sitting. May we recommend the Dark Chocolate? 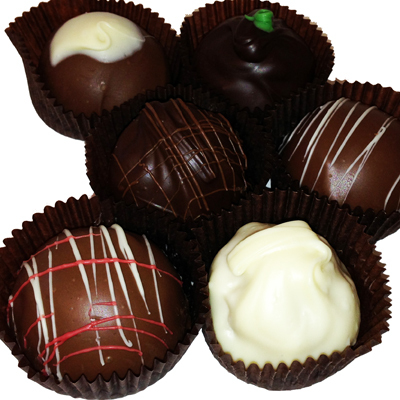 Ingredients vary from truffle to truffle. Some contain nuts.